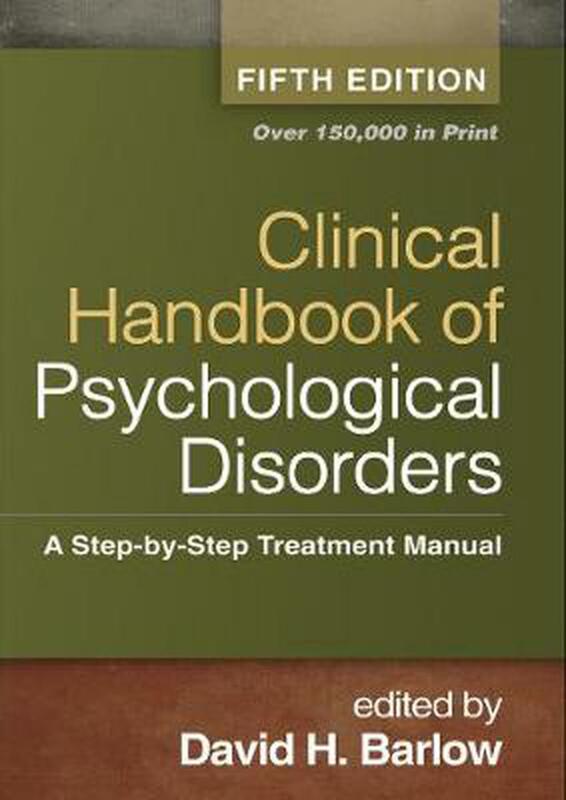 This clinical reference and widely adopted text is recognized as the premier guide to understanding and treating frequently encountered psychological disorders in adults. Showcasing evidence-based psychotherapy models, the volume addresses the most pressing question asked by students and practitioners--"How do I do it?" Leading authorities present state-of-the-art information on each clinical problem and explain the conceptual and empirical bases of their respective therapeutic approaches. Procedures for assessment, case formulation, treatment planning, and intervention are described in detail. Extended case examples with session transcripts illustrate each component of treatment. New to This Edition Incorporates treatment innovations, the latest empirical findings, and changes to diagnostic criteria in DSM-5. Chapter on acceptance-based treatment of generalized anxiety disorder. Chapter on comorbid depression and substance abuse, demonstrating a transdiagnostic approach. Chapter on sleep disorders. David H. Barlow, PhD, ABPP, is Professor of Psychology and Psychiatry and Founder and Director Emeritus of the Center for Anxiety and Related Disorders at Boston University. Dr. Barlow has published over 500 articles and book chapters and over 60 books and clinical manuals--some translated into more than 20 languages, including Arabic, Chinese, Hindi, and Russian--primarily in the areas of emotional disorders and clinical research methodology. His books include Clinical Handbook of Psychological Disorders, Fifth Edition, Handbook of Assessment and Treatment Planning for Psychological Disorders, Second Edition, and Anxiety and Its Disorders, Second Edition. He has been the recipient of numerous awards, including, most recently, the Career/Lifetime Achievement Award from the Association for Behavioral and Cognitive Therapies. He is past president of the Society of Clinical Psychology and the Association for Behavioral and Cognitive Therapies and past editor of the journals Clinical Psychology: Science and Practice and Behavior Therapy. Dr. Barlow's research has been continually funded by the National Institutes of Health for over 40 years.